The Iced Coffee flavor you love, from the comfort of home. Now you can enjoy the same great iced coffee we serve in our stores from the comfort of your own lawn chair. 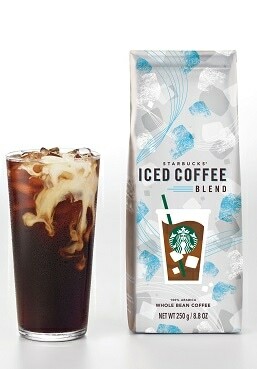 Starbucks Iced Coffee Blend is the same Brewed Iced Coffee you already love in our stores. Roasted to accentuate its full flavored taste when chilled, this blend of premium beans from Latin America and East Africa comes alive cold. Medium-bodied, well-balanced and caramelly smooth, you’ll love it with milk and sweeteners, or served straight up over ice.